Color in the calm, focus and curiosity. Unique from other adult coloring books, this activity & coloring book is grounded in science and decades of clinical experience, and contains mindfulness exercises and imagery designed to reduce stress, find peace and discover more about yourself. Written and illustrated by clinical psychologist, Terry Marks-Tarlow, Ph.D., with a foreword written by New York Times bestselling author, Daniel J. Siegel, M.D., Truly Mindful Coloring has 60 peaceful, fun and evocative images for creative expression and relaxation. 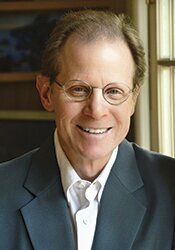 Terry Marks-Tarlow, Ph.D., has been a clinical psychologist for over 30 years. She teaches developmental neurobiology and travels nationally and internationally to give clinical workshops and teach mindfulness techniques. Dr. Marks-Tarlow combines science with art masterfully. She strives to “walk her talk” by embodying a balanced life. She dances nearly daily; draws and illustrates her own books; practices and occasionally teaches yoga breakthrough workshops. She has authored several books. Psyche’s Veil (Routledge, 2008) takes a ground-breaking look at the importance of nonlinear dynamics to clinical theory. Clinical Intuition in Psychotherapy (Norton, 2012) examines the importance of imagination, creativity, and play to effective psychotherapy. Awakening Clinical Intuition (Norton, 2014) won the 2015 Gradiva Nomination for Best Book, as awarded by the National Association for the Advancement of Psychoanalysis. 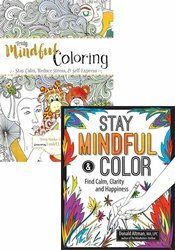 She is also the author of Truly Mindful Coloring: Stay Calm, Reduce Stress & Self-Express (PESI, 2016). Financial: Terry Marks-Tarlow is in private practice. She receives a speaking honorarium from PESI, Inc.
Nonfinancial: Terry Marks-Tarlow has no relevant nonfinancial relationship to disclose.